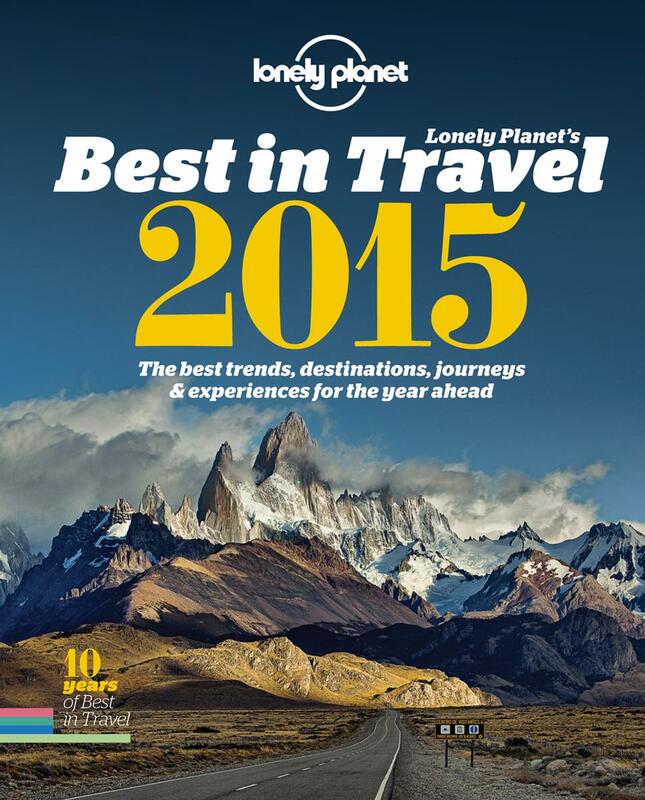 Lonely Planet Best in Travel 2015. Travel doesn’t have to break the bank: here’s Lonely Planet’s guide to the best travel experiences that – like love – don’t cost a thing. From Lonely Planet’s Best in Travel 2015. Welcome to Kensington, home to well-heeled lords and ladies, chauffeur-driven Rolls Royces, and London’s favourite free museums. The Kensington museums are London’s cultural triumvirate: specimens collected by Charles Darwin grace the collection at the Natural History Museum, while the world’s first steam train sets the pace at the Science Museum. Then there’s the elegant Victoria and Albert Museum, dedicated to 5000 years of fashion and design, from Persian carpet weaving to the post-punk street wear of Vivienne Westwood. Best of all, admission to all three Kensington museums is free, though the V&A gift shop in particular will test your frugal resolve. A tunnel links South Kensington tube to the Kensington museums, but walk above ground for lunch stops on Exhibition Road. You haven’t seen sparkle until you’ve seen the night sky over the desert. Once you escape the light pollution pulsing out of Las Vegas, the skies above Nevada provide spectacular opportunities for star gazing. Desert trails near the former gold-rush township of Tonopah offer views onto an uninterrupted starscape, with a remote chance of spotting secret test aircraft and maybe even UFOs from nearby Groom Lake, aka Area 51. If ET fails to appear, you’ll still be rewarded by the sight of 7000-plus stars and the clear outline of the Milky Way. The historic Mizpah Hotel offers visitors to Tonopah a taste of the pioneer spirit; at least one bed has wagon wheels! They say there’s no such thing as a free lunch, but admission – and meals – are complimentary at the Golden Temple in Amritsar. Hospitality is one of the core tenets of the Sikh religion, and every day an estimated 40,000 pilgrims file into the Guru-ka-Langar, the vast, hangar-like temple canteen, for a simple meal of chapattis, vegetable curries and rice. All are welcome to join the dinner queue after completing a ritual circumnavigation of the Amrit Sarovar, the ‘Lake of Nectar’ surrounding the Golden Temple, but a donation is appropriate to help the charitable work of the temple foundation. As well as eating at the Golden Temple, you can stay in the niwas (pilgrims hostels) . Tired of paying Beverly Hills prices for rock festivals in muddy fields? Then look no further than Rock al Parque in Bogotá, Colombia. You’ll still find the muddy fields and dubious toilets, but the ticket price is a cool zero pesos. Latin America’s three-day premier showcase for rock talent serves up everything from twiddly speed metal and power-chord stadium rock to punk, blues and ska. The Dead Kennedys appeared in 2011, so you know the festival has credibility. But a word of warning – alcohol, smoking and metal belts are banned inside the venues. The main venue for Rock al Parque is Simón Bolivar Park. Planet Earth has plenty of dramatic viewpoints, most with a price tag as stratospheric as the views. Fortunately, this is not the case for Table Mountain. Those willing to brave the gruelling trek from Cape Town to the summit can enjoy one of Africa’s most iconic views for free, with the fall-back option of the cable car for the trip back to town (tickets from 110zar). Armed with drinking water and protection from the elements, you can choose from some 350 trails that force their way up the rocky cliffs, or play it safe on the India Venster route, following the path of the cable car to the peak. A map is essential if you hope to conquer Table Mountain – locals rate the maps produced by Peter Slingsby. When Rio de Janeiro needs to let its hair down, it heads to the beach. The sandy strips at Copacabana, Ipanema, Leme, Leblon and Barra da Tijuca are a playground for surfers, beach volleyball teams, sun-worshippers, guitar players, and beautiful people just strutting their stuff. Bring a few bills for a beer at a beachfront kiosk and the rest is free. As part of the build-up to the 2016 Olympics, free wi-fi is provided along the most popular beaches, but most locals leave valuables behind so they can plunge into the ocean at a moment’s notice. Inexpensive public buses ply the coast; routes 583 and 584 serve Copacabana and Ipanema. The price of a hotdog and beer might make you wonder how anywhere in Scandinavia could make it onto a list of the world’s top free experiences, but the experience in question is served up for all to see in the winter sky. Every year from late autumn to early spring, the aurora borealis repaints the night in hypnotic, impressionist colours, which pulse even more vividly once you cross the Arctic Circle. Lapland is a favourite vantage point, especially on the icy shores of Lake Inari, homeland of Finland’s Sami people. Inari lies on the bus route between Ivalo and Rovaniemi, both served by flights from Helsinki. You can’t say you’ve seen New York until you’ve seen New York from the Staten Island Ferry. Cruising from St George on Staten Island to Whitehall in Lower Manhattan, this fare-free commute offers the same first glimpses of America that greeted thousands of new settlers after processing on Ellis Island. The undisputed highlight is the toe-to-torch view of the Statue of Liberty, but the approach to Whitehall terminal, with its backdrop of iconic skyscrapers, comes a close second. Ferries run at least hourly in both directions, 24 hours a day. Free experiences are in short supply in Australia’s most expensive metropolis, but if you provide the board, the surf is gratis. Sydney’s famous surf beaches are open to all, and that includes such legendary breaks as Manly, Curl Curl, Dee Why, Narrabeen and Freshwater, where Hawaiian legend Duke Kahanamoku pioneered the sport in 1914. Travellers looking for a cheap way to board-up will find stacks of used boards in local op-shops (second-hand stores) along the coast. If surfing isn’t your thing you could always take a free dip in the Dee Why Rockpools or the Bronte or Freshwater Baths. Surfboards can be carried free on Sydney city buses and trains, so long as you don’t block the way for other passengers. The illuminated skyline of Hong Kong is one of the world’s great spectacles. Factor in the Symphony of Lights, staged every night from 8pm, from the buildings on the harbour and you move from spectacle to spectacular. Fireworks add to the show on special occasions such as Chinese New Year. The best vantage points for this optical overload are Tsim Sha Tsui waterfront, the Golden Bauhinia Square promenade in Wan Chai, and the ferries that criss-cross Victoria Harbour. A sound show accompanies the lights at Tsim Sha Tsui waterfront and Golden Bauhinia Square, with commentary in English on Monday, Wednesday and Friday. This is an edited extract from Lonely Planet’s Best in Travel 2015, © Lonely Planet. In stores now, Lonely Planet.